Our range of products include art paint brushes and artist brushes. Owing to the expertise of our professionals, we are able to manufacture and export our valuable clients Art Paint Brushes. This brush is designed using premium quality raw materials and latest technology. Manufactured in compliance with international standards, this brush is extensively accepted for its high quality and durability. Available in various specifications, we offer this brush to the clients in different designs and other related specifications at industry leading prices. We are counted amongst trusted names in manufacturing and exporting an exclusive range of Artist Brushes. 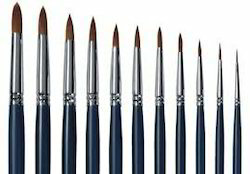 Our offered range of Artist Brushes are made of high quality material. 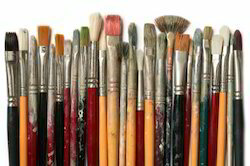 These Artist Brushes can be availed by our esteemed clients at very affordable prices. Looking for Painting Brushes ?